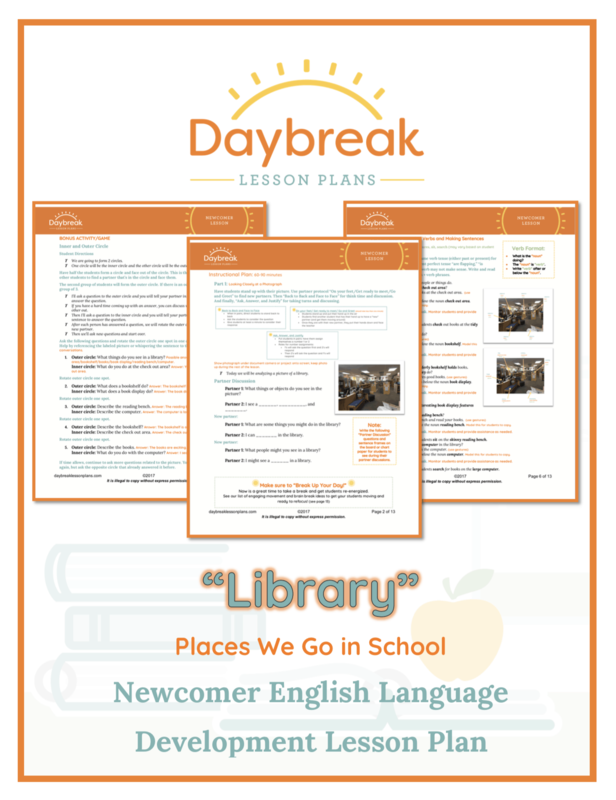 This 1 1/2 hour newcomer lesson is broken into 4 manageable 15 minute parts with a bonus activity at the end. 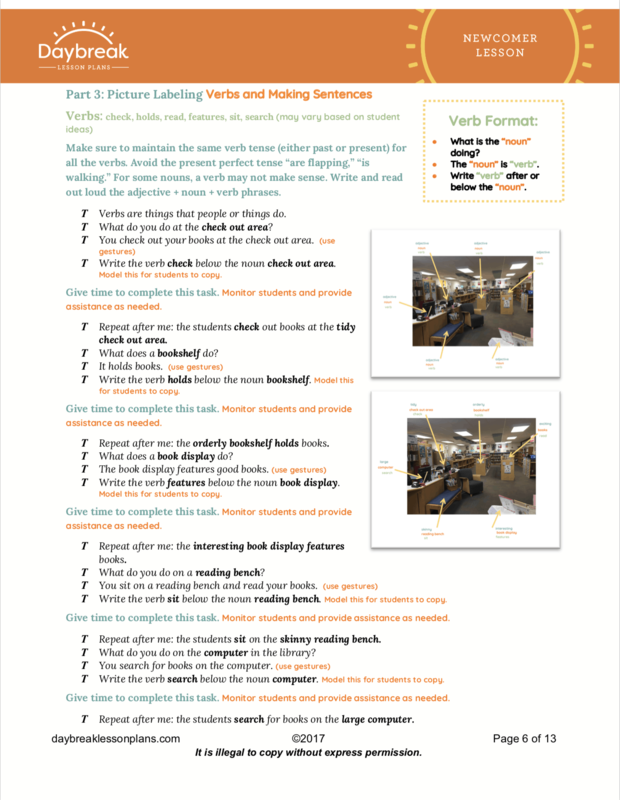 In each segment students will be using a picture of a school library as a gateway to complex text and language development. 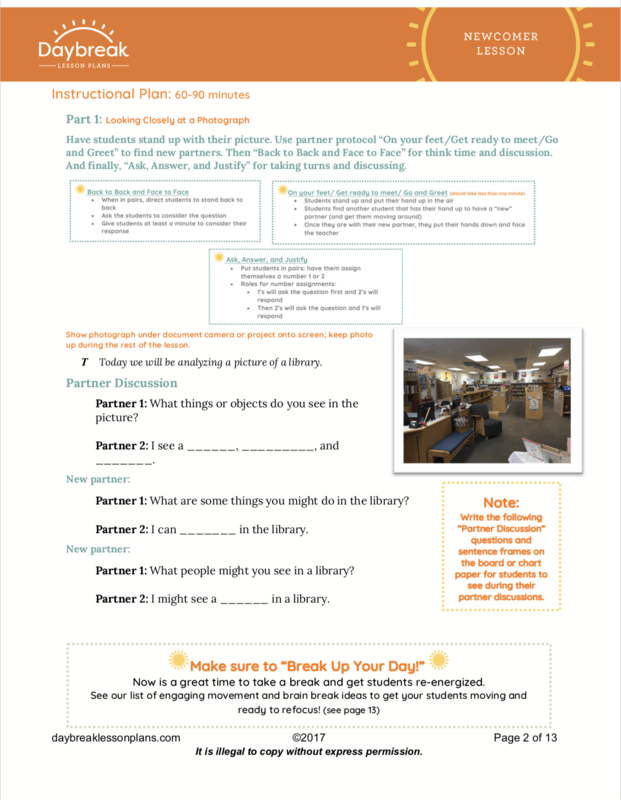 Students will engage in collaborative conversations by posing or responding to specific questions as well as practice paraphrasing information presented visually. Using pictures, student will begin to find evidence for basic questions and label pictures for the purpose of forming sentences that describe the picture both orally and in writing. 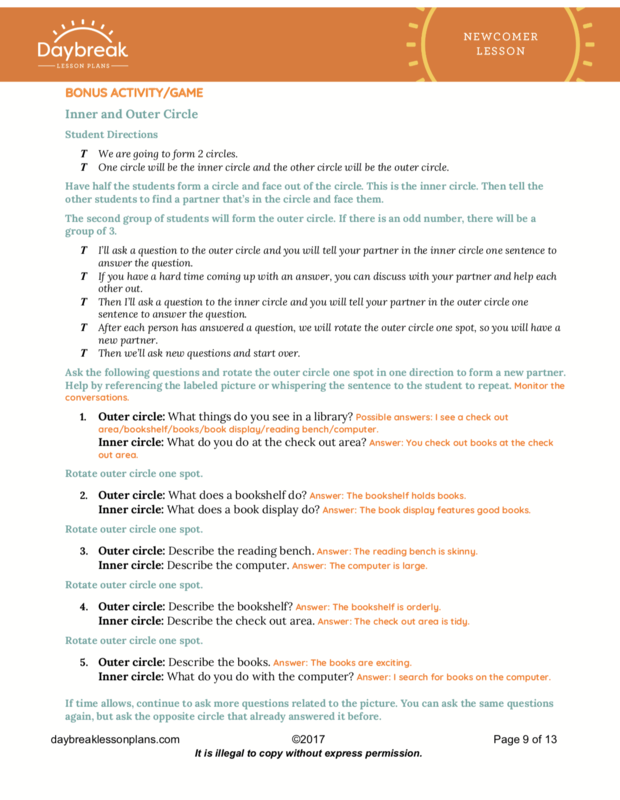 Bonus Activity: Students will participate in an inner/outer circle activity to help them to practice asking and answering questions.